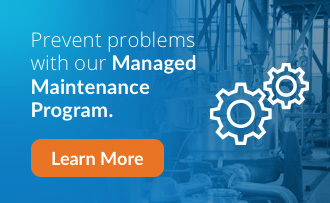 Our expert specialists in the installation and maintenance of conveyor systems will inspect your site to gather the information needed to ensure the equipment we engineer for you meets all of your facility’s unique requirements. For example, the amount of room in your workspace that is available for the installation of a new conveyor is often the deciding factor when it comes to selecting the proper equipment for your operation. Surveying the inlet and discharge elevation, and the width, depth and ceiling height available to accommodate the conveyor is imperative. Our auditors will examine the full scope of your operating environment and evaluate several key indicators to ensure your system delivers maximum productivity, precision, and dependability. We understand that each industry and application is different. We engineer our conveyors and feeders to adhere to your unique specifications. We are highly skilled in equipment design and customization, taking every variable of your process into consideration (including, but not limited to, method of operation, material type, environmental conditions, footprint size, cost and maintenance history). Our goal is to exceed your material conveying needs by delivering the most advanced equipment available, while providing a seamless integration into your existing bulk material handling system.